There is that white underside on the FAC Harvard NZ1037 again. A really nice photo of it too, Peter. Nice pics! that one of 1037 actually settles the underside colour query - this aircraft appears to have Dove Grey undersides, with the demarcation lines quite clearly shown in that view. Love the Air NZ Harvard too! And of course NZ1037 is today owned by Brendon Deere, based at Feilding. Great shots Peter...keep them coming ...really interesting. Hi Zac - not planning to put 1041 back in ANZ colours - heading towards putting it back in 4 (F) OTU scheme...something 1041 was in back in 1944 - when this photo was taken. Harvard NZ1044 followed a similar path to NZ1041, being sold to the Air New Zealand Training School, Christchurch, in 1971. However, it appears to have not suffered from the same painting mania as its brother. 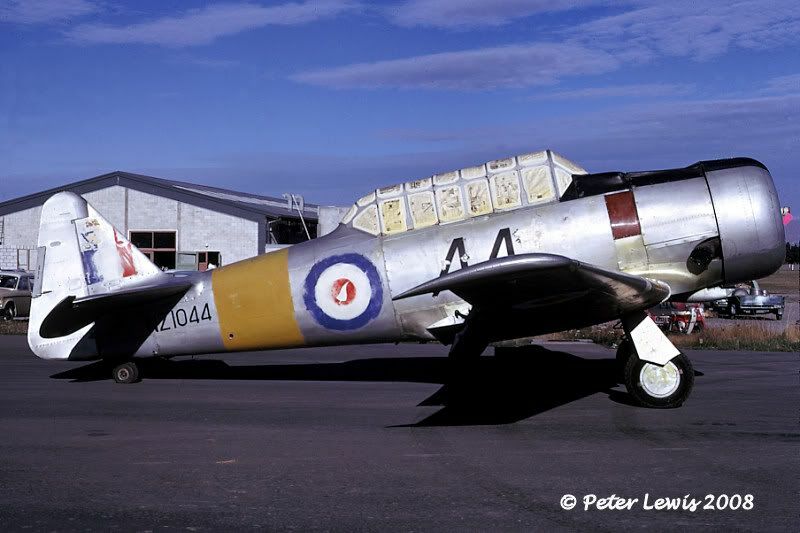 After ANZ had finished with NZ1044 it was sold to an owner in Rolleston who is reportedly restoring to airworthy condition. NZ1050 remained active at Wigram until withdrawn in September 1972, and went to Woodbourne as INST207. However its stay there was brief, as it drew the short straw to become the 'gate guardian' at Wigram repainted with its old serial of NZ1050. 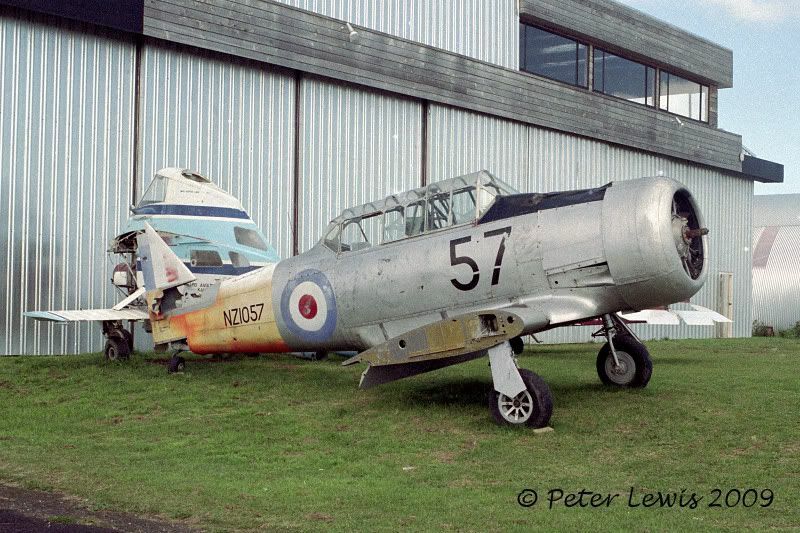 NZ1051 was another Harvard that remained in active use until September 1972. After a short period in storage it was sold by GSB tender in 1978 to M. Nortier, Auckland who was reported as having it under rebuild 1983. However the project was sold into Australia where it was completed as VH-NZH in mid-2001 and is active painted in USN colours. 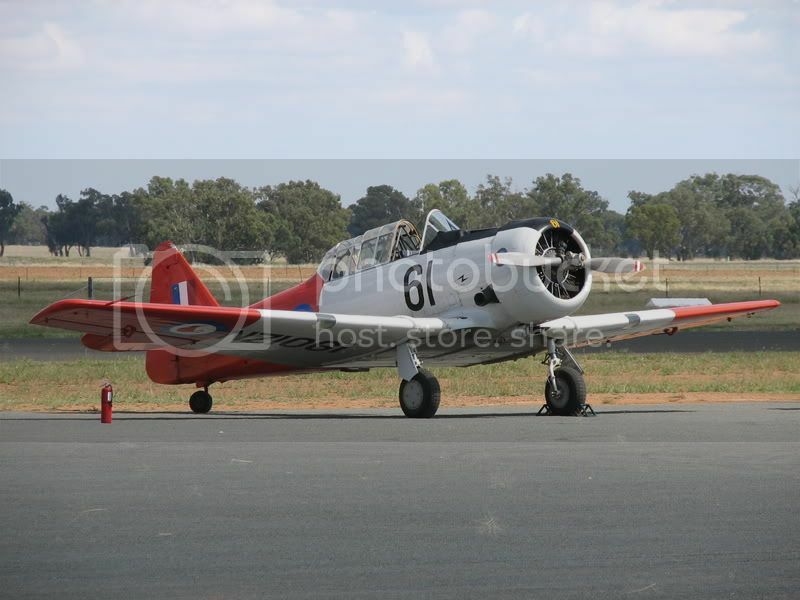 Harvard NZ1057 was one of the batch bought by sold Engine Support Inc., Florida, USA in 1978. After they had removed the mechanicals, '57 went to the Silverstream Museum as a display exhibit before going to d'E C Darby, Auckland. 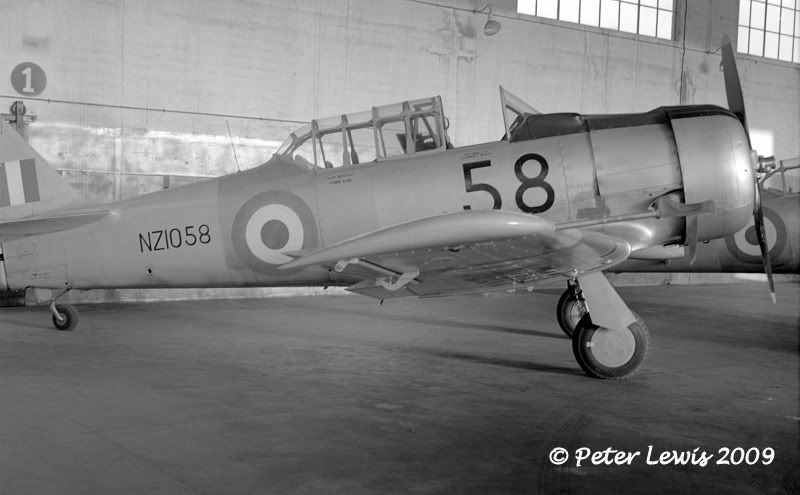 A Harvard 57 Syndicate was formed at Ardmore and they restored the aircraft to flying condition, still in NZ1057 colours, but officially registered as ZK-TVI. 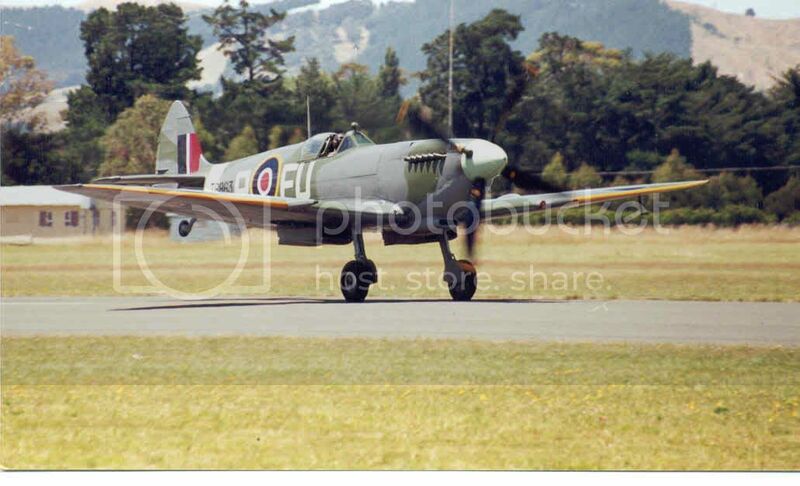 First flight was at Rotorua 23Dec97. NZ1058 remained active at Wigram until suffering terminal damage in a forced-landing near Darfield Apr75. The damaged aircraft was presented to the Ferrymead Museum of Christchurch in 1976 and restored to display standard incorporating components from NZ1080 and NZ1083. Did you know that NZ1050 was sold by the RNZAF to a veterans group who had it restored and then presented it as a gift to Wigram? I cannot recall the group's name, but they were ex-wartime Wigram RNZAF personnel. It wasn't the Brevet Club or RNZAF Association nor the Royal Aeronautical Society, it was another group again. Does anyone have their name? They may have been specifically a Wigram-focused group actually, like the Hobsonville Old Boys Association is for Hobby. Great to see your pictures flyernzl.They sure come out well! Excellent photos - thanks very much for displaying them - with regard to NZ1044, it was disposed of through the GSB to the NAC Technical Training School, Christchurch on 8th October 1971. Sometime after your photo was taken on 4 April 1972 and prior to the 1st April 1978 merger of NAC and ANZ, NZ1044 was painted in NAC colours as I recall a photo of NZ1044 in NAC colours appearing in a Wings magazine - will try and find it. Maybe it was being prepared for painting when your photo was taken? heading towards putting it back in 4 (F) OTU scheme...something 1041 was in back in 1944 - when this photo was taken. Sounds great! Sort of like NZ1099's scheme then? Allover yellow? Hi Zac - no overall silver - with the Red OD coded letters and red on the cowl. This is pretty much (bar the Sqn codes) as how they came out of NAA Dallas later part of the war - the drawing on the same photo board is straight out of the -2 Maint. Manual which is what the aircraft was delivered like. 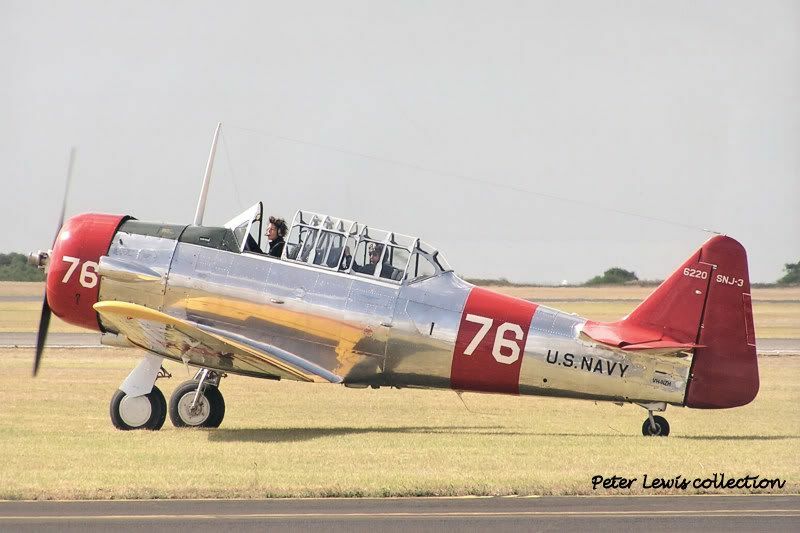 There are a number of great photos around of the red OD coded 4 FOTU P-40s... but only a couple of the OD coded Harvards - I've found Qty 3 different Harvards in similar schemes - and talked recently to an ex-OTU Instructor who confirmed they coded the Harvards like their P-40s.... At one stage both OTUs were at Ohakea...the other being 2 FOTU ... who FE codes were white - I understand. 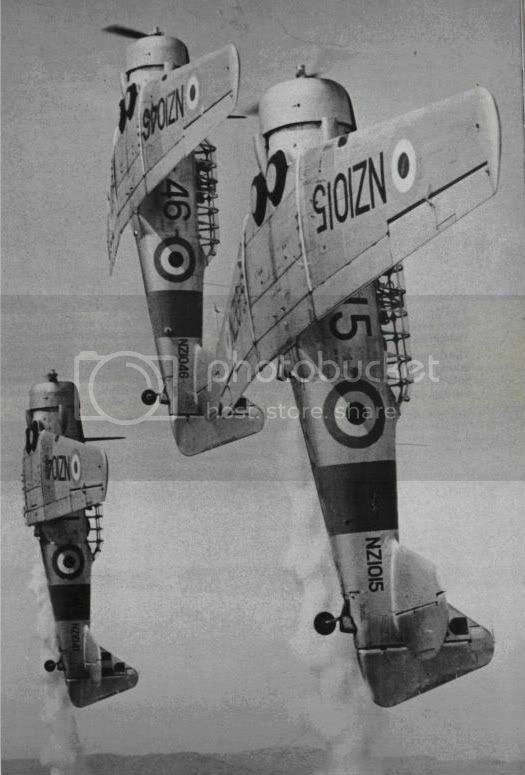 Actually any wartime Harvard shots are interesting - as most units seemed to have a Harvard or two floating around. 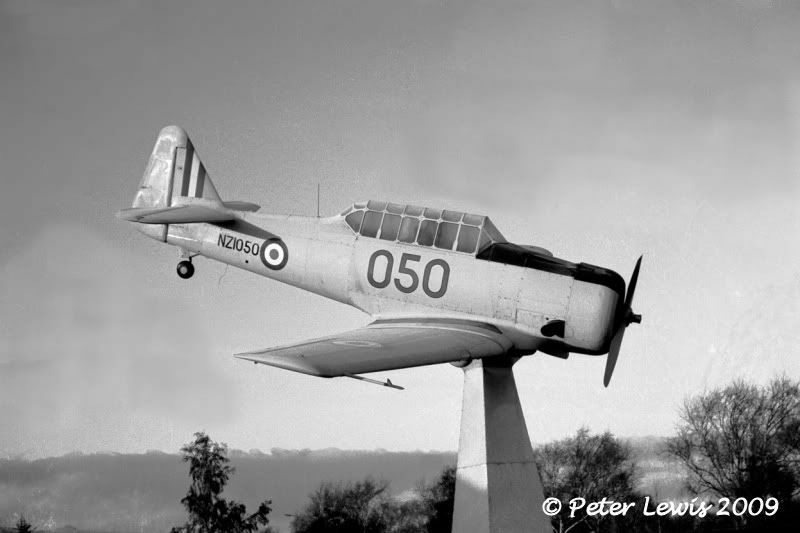 Just to add a couple more Harvard photos that I have not seen on the site before : I suspect the following, well-known, RNZAF Musuem photo was taken shortly before the first photo shown in Reply #10 on this thread. 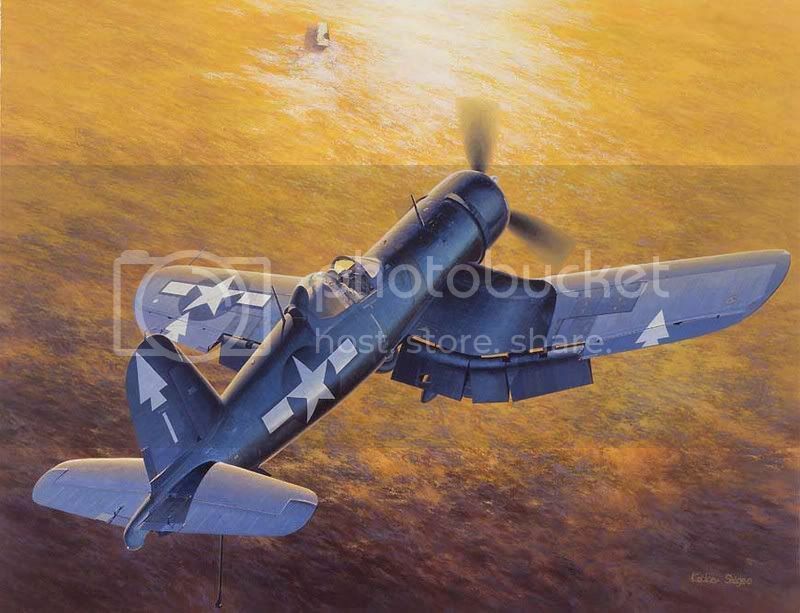 At least the side-numbers, colour scheme, aircraft trailing smoke and shadows match. History of New Zealand Aviation - Ewing, MacPherson". 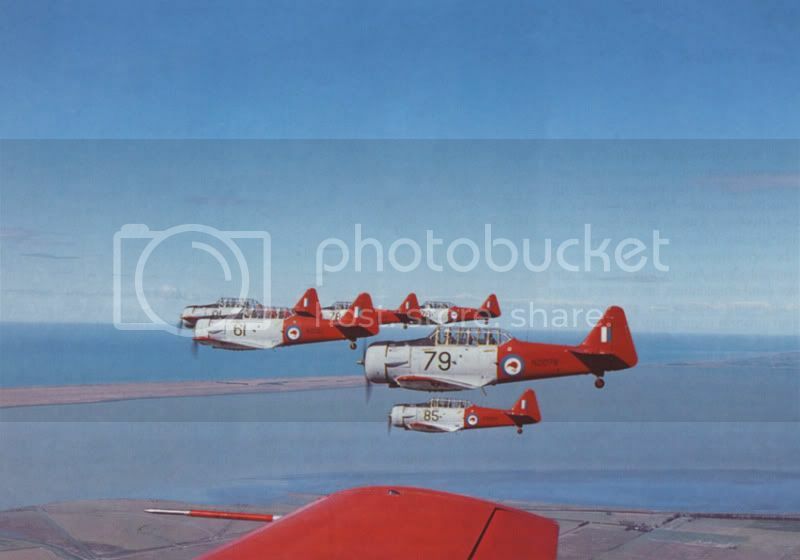 Great to see that 1970s shot of those Harvards over Lake Ellesmere. I really like that one of all the Harvards over Lake Ellesmere! 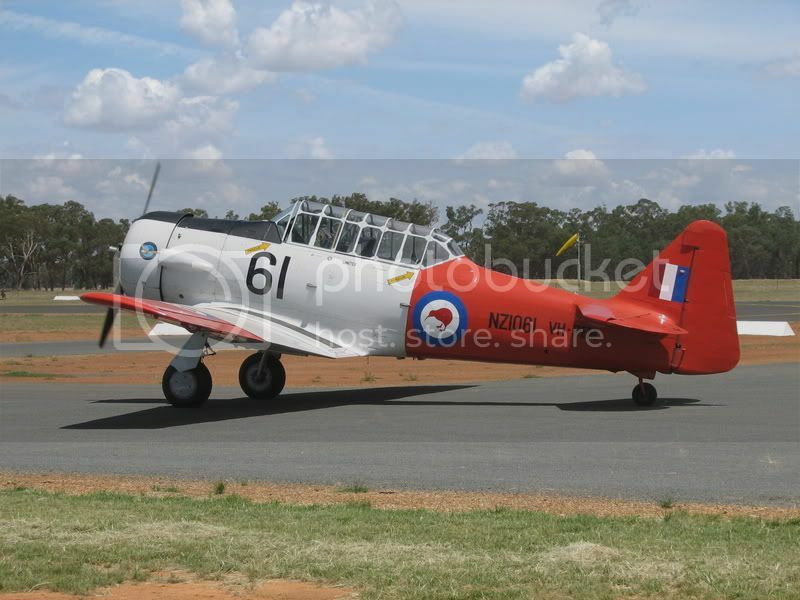 The picture of the Harvard formation going vertical,only 1046 seems to missing the extended exhaust past the trailing edge .Also 1046 is the only one fitted with solo weights ,so perhaps it was generally not used in regular aerobatics team training? The others seem to have the smoke tank in the rear seat. 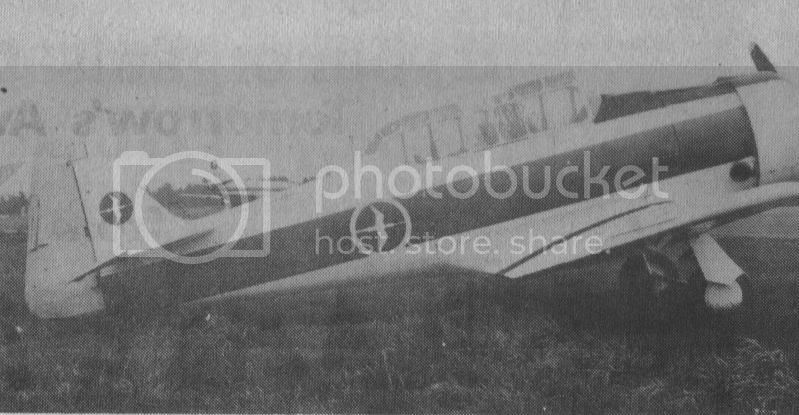 Harvard 1010 did indeed crash while on a PAR exercise at Ohakea. The pilot was one P/o Fitzmaurice who had recently completed his wings course having earlier been an airframe or engine fitter [it's a while ago!] at Ohakea. He was told to orbit , got too low, too slow, and stalled. The hill he hit might just have saved him had the slope been the other way, but as it was it was not a surviveable accident. I was first there and had to tidy up so to speak, all done with the decorum one would expect for one of your own. The hill was off Lees Line near Feilding. As I recall, we had crap radios in those days, and we were working on the assumption the OH tower could hear us, though we couldn't hear them and asked for some indication of where the downed Harvard might be. Then a Vampire flown by one Flt Lt Barry Flavell came overhead and just about took my aerial off! If he'd have stood on the wing pointing he couldn't have done it better. I think he later went to Air New Zealand. I too love that shot of the red and grey Harvards. Magnificent! I recognise a couple of serials, how many still fly? All of them Zac with 1079 flying in the US, 1061 and 1085 in Aussie and the rest flying here. Not bad eh? A not so good photo (NZ Wings, October, 1975) of poor old 1044 in NAC colours. White plus a dark red (pretty much the same colour as the dark red panel shown in the 1044 photo by flyernzl). Superb! Is that 01 or 81 in front? Nice shot of the NAC scheme. Much as I love NAC, I think 1041's ANZ scheme looked cooler.